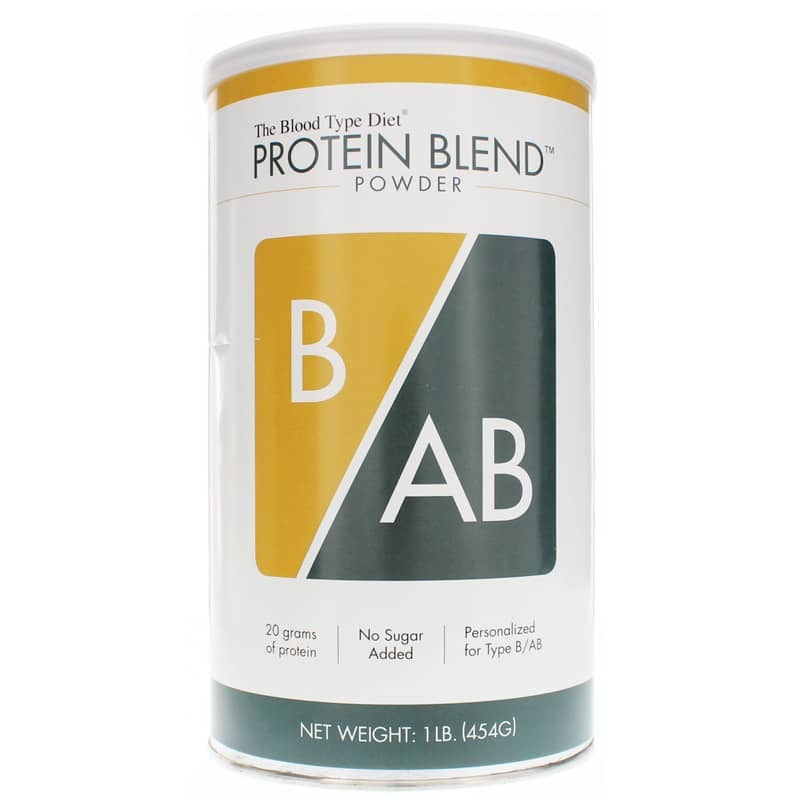 Protein Blend Powder is naturally unflavored, and contains no added sugar. 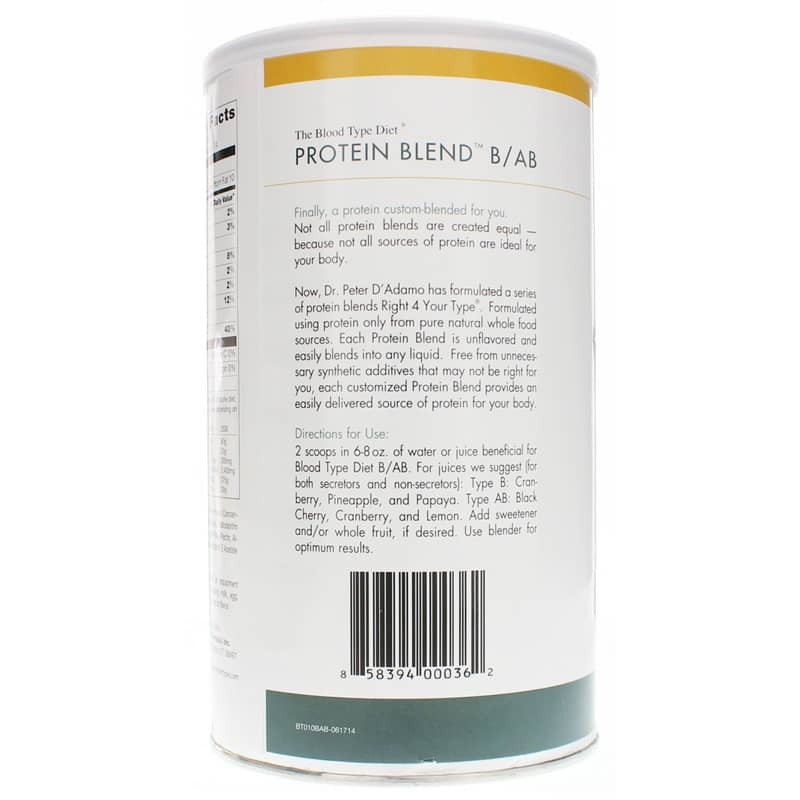 Protein Blends mix easily with juices, fruit, and anything you can create. With Protein Blends, you can blend a quick and nutritious shake that will provide a clean, quality protein source, either in-between meals or in place of a full meal. Not all protein supplements are created equally and not all sources of protein are ideal for your body. In fact, some common sources of protein are not properly digested or well tolerated by your blood type. Formulated only from non-genetically altered, all-natural protein sources, each Protein Blend formula is free from synthetic and unnecessary additives that may not be right for you. In formulating his three Protein Blend supplement powders, Dr. DAdamo only adds those naturally beneficial ingredients that enhance absorption for each formula. Ingredients: Protein blend (of soybean protein powder, pea protein powder, and rice protein powder), fibersol-2, apple fiber, pectin, arabinogalactan, beet juice powder, alpha lipoic acid, bromelain, vitamin A palmitate. Contains soy. Ingredients: Protein blend (of whey protein concentrate, rice protein powder and egg whites), fibersol-2, arabinogalactan, apple fiber, pectin, alpha lipoic acid, bromelain, natural vitamin E acetate. Contains milk and egg. 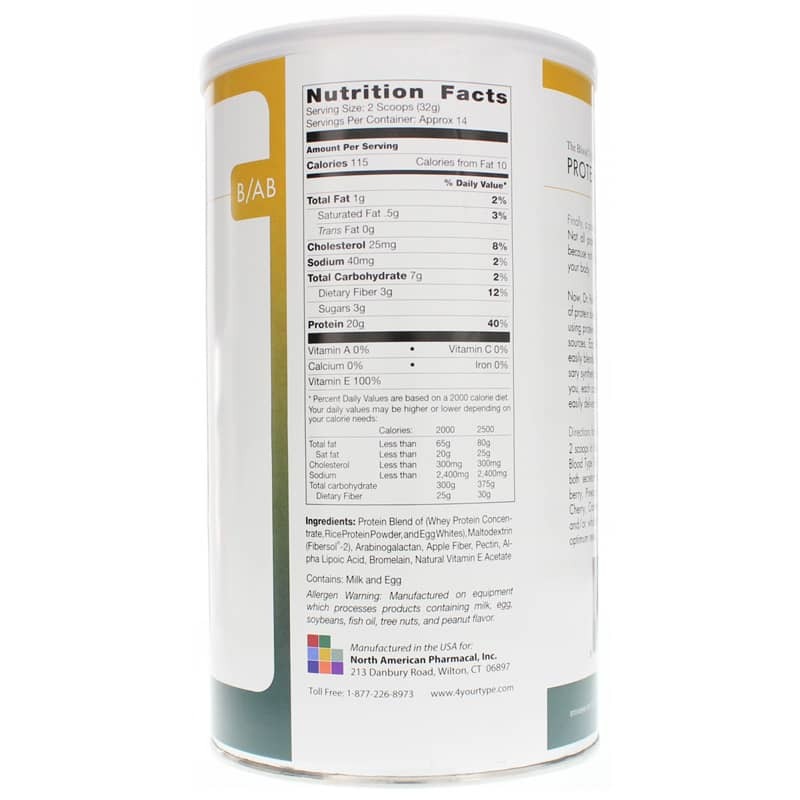 Other Ingredients: Protein blend (of rice protein powder and egg whites), fibersol-2, arabinogalactan, apple fiber, pectin, alpha lipoic acid, bromelain, biotin. Contains egg. Adults: Mix 2 scoops in 6 to 8 ounces of water or juice beneficial for your specific blood type. Manufactured on equipment which processes products containing milk, egg, soybeans, shellfish, fish oil, tree nuts and peanut flavor.